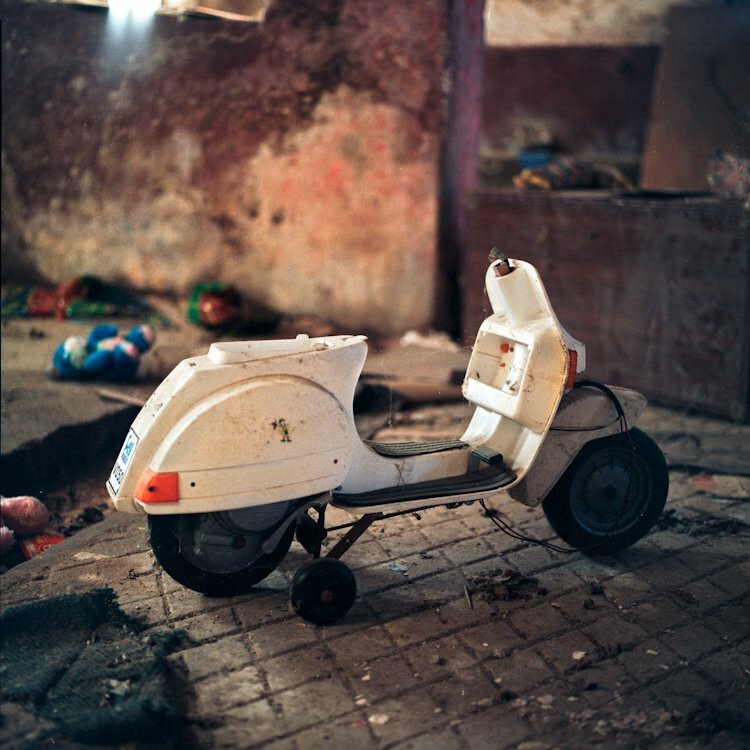 cool shot – that scoot has seen better days! lovely shot! i love square crop and i like the colors and composition of this one. well done! Great shot. I love the color. A beautiful mood and light. sliding puzzles for the facebook application of the same name. Please tag this photo with Shift-N-Slide when you add it to the pool. Nice looking scoot. Well captured and framed. I’m sure it was a pleasure for some kids at one point of its life. Hi, I’m an admin for a group called Abandoned wheels on film, and we’d love to have this added to the group! Nice! I really like your photos! It’s amazing that how you can manage the colors so well! Hi, We’d love to have this added to the group! You have a great lens by the way. The DOF is just perfect. Great tones and mood, bravo !